About 80 kilometers away from Nha Trang to the North, it is easy to come to Van Phong Bay. Along the 1A National road to Co Ma pass, turn left and go further about 10 kilometers to the sea you can see Van Phong bay. It is a pity that you come to Nha Trang but forget to go to visit Van Phong bay. Van Phong Bay is one of the largest and deepest bays in Vietnam which has wonderful scenery and a diversity sub-marine ecosystem. According to many experts, Van Phong bay is described as a “sleeping beauty” on the large sea area. It has a huge potential of tourism, sea ecosystem and sea economic in the area as well as in international scale. Indeed, many tourists especially foreign visitors cannot help saying that nowhere in the world exists such a beautiful place like that. It is the ideal place for relaxing, discovering, entertaining which gathers 3 criteria: peaceful, wonderful, and pristine. Van Phong bay is a group of smaller bays and beautiful islands which are named after natural things and daily life of the people in the sunshine area such as: Na Island, Couch Grass Sea, Xuan Dung Sea … which brings the beauty of the nature and life and creates a unique impression for the visitors. Besides, Van Phong bay seduces visitors by its endless white sandy beach, clean and transparent seawater as through the water you even see a bustle life under it. Under the seawater, you can be amazed by colorful and lively coral reef. Moreover, there have mangrove forest remains, hundreds of plants and many rare and beautiful marine animals. If you dare to wear a diving suit and start a journey to discover the marine life under Van Phong bay, you will have not only the chance to learn a lesson about marine life but also the journey to a magical story in which you are lost into a wonder land in the fairy tale. The beaches here are very peaceful and clean in the yellow sunshine. The sand is white – the pure white. The color mixes with the blue of the sky and water, the white of the cloud which creates a harmony picture. From the beaches, you can see standstill Dai Lanh beacon and a mighty rock mountain called Bia Mountain. Van Phong bay is favored both the natural beauty and good weather condition with warm sunshine over 4 seasons of the year. Therefore, it is an ideal place for honeymoon of young couples. In the sunrise, if you get up early and go on the deck you can sense the sea air seems to be overwhelming and surrounds you. As the sun darts its beams on the bay, the foggy set of curtain disappears and a picturesque scene appears instead. A new day starts with fishing boats go off the sea to find the sea favor. 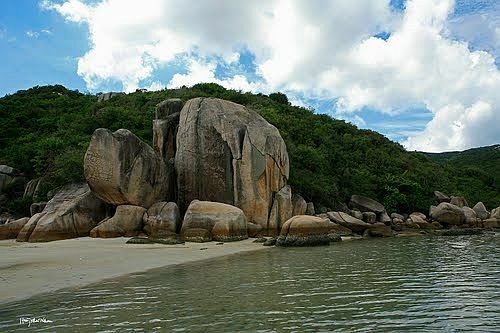 Also, there is a place to go in Van Phong bay, It is Son Dung Beach which appears to be isolated from the world. However, there are 11 families live here. Many visitors come to Son Dung due to its pristine beauty and the curiosity. They are curious about the fact that fresh water can be found in the underground here. 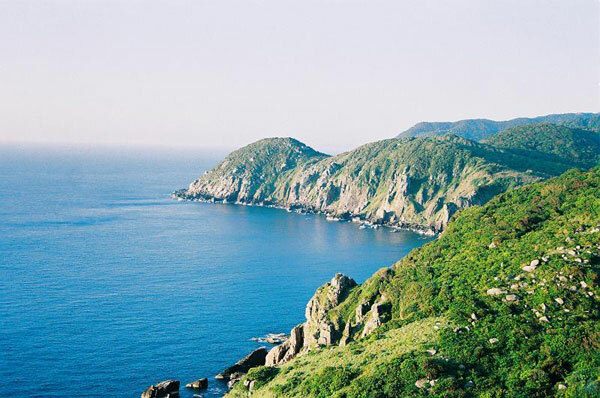 It is considered as a special favor of the nature for the small fishing village as it also attracts many visitors to come. The precious fresh water source is also the living source of people living here.